Brother's Brother Foundation or BBF is about linking resources that people offer with the needs of others. As a charity foundation, it helps poor people who lack the right health care, nutrition, and education. It is a wide ranging organization that has long been functioning for the benefit of the greater good. Founded by Dr. Robert Hingson in 1958, BBF has created programs to fulfill its encompassing mission. 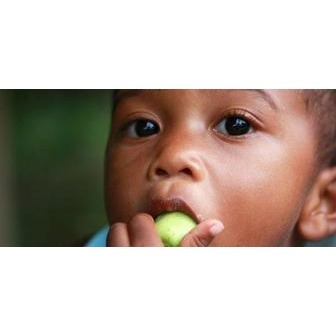 The Brother's Brother Foundation offers education and international health through cost efficient distribution and proviso of agricultural, medical, and educational resources which are all donations. It has collaborated with international and local agencies who want to help their fellow men. Along with the United States of America and other well off countries, the organization has offered over three billion dollars worth of goods and services including over 92,000 tons of food, medical supplies, textbooks, and seeds. These values have benefited millions giving them better education, health and nutrition, and material security. Best of all, BBF has given them hope. The foundation's main headquarter is located at Pittsburgh, Philadelphia. Every donation from corporations, governments, faith groups, clubs, ethnic associations, and individuals are very well managed by BBF's trusted staff. The foundation ensures that operating costs are below one percent of program services' value. It has become a haven of love for thousands of volunteers and supporters including builders, teachers, and other professionals who have intricately assigned every donation that the organization has to people who could benefit from them. Through the years, the foundation has been constantly awarded as a top charity organization. Naming a few of its awards, BBF has been noted as among the 5 most efficient charity organizations with a hundred percent rating in charitable commitment and fundraising efficiency. It has also been listed as among the 10 Gold Star Charities out of two hundred reviewed foundations. The ultimate mission of Brother's Brother Foundation or BBF is to offer international education and health through efficient provision and distribution of resources. These donated resources are either medical, agricultural, educational, and many others. All of the programs that BBF provides are especially designed towards helping others by matching donated resources with the needs of the people. Another purpose of the organization is to make every gift count. Each gift donated to Brother's Brother foundation does not just go one way. It multiplies into hundreds if not thousands of other gifts from many other organizations and individuals. As part of its mission, it does its very best to have a one percent operating cost for program service value. It is empirical for every resource to be shared with local equivalent organizations in countries who desire to help others in great need. As part of its purpose, BBF provides resources in forms of goods and services. This includes books, food, medical supplies, seeds, and so much more. The organization is originally dedicated towards the purpose of connecting America's numerous medical resources to the health care needs of the world. It was primarily dedicated to giving immunizations in poor countries all over the world. Through the years, the mission of Brother's Brother Foundation broadened including other kinds of aid. Along with bigger and well known international agencies such as Rotary International and WHO or World Health Organization, BBF has reached its hands focusing too on many other forms of assistance. The organization stays true to its overall mission and foundation motto which is "Connecting People's Resources with People's Needs." This statement alone proves that as an international relief, it strives to increase its reach to more people in need in every reachable corner of the world. Its mission will never stop expanding boundaries. The Brother's Brother Foundation was founded by Dr. Robert Andrew Hingson from Anniston, Alabama. Growing up with a strong interest in health and altruism, he made his way through medical school and became a highly acclaimed medical doctor. He graduated with a Bachelors of Arts degree from the University of Alabama and received his medicine degree from Emory University School of Medicine. He specialized in the field of anesthesiology. His innovative efforts in the field of medicine led him to the creation of great inventions along with recognizable methods for relieving pain and suffering. He invented the Western Reserve Midget which delivers short term general anesthesia. Dr. Hingson is well known in public health because of his jet injector, which is a tool that has made possible mass and "needle less" inoculation against epidemics and other diseases such as small pox, tetanus, influenza, polio, measles, and leprosy. His vision of helping billions of people was the key towards establishing the foundation. He wanted to lead thousands of volunteers especially those in the medical field to share their free services during their free time to developing countries. In 1958, together with the Baptist World Alliance, Dr. Hingson made a survey through a medical mission. This then resulted to the establishment of Brother's Keeper. It was a non-sectarian volunteer group which aimed towards connecting America's rich medical resources to those in need. Its primary goal was to offer free immunization in poor countries worldwide. In 1958, a protest was made by a Nigerian student of medicine. He said that they do not need a keeper but instead they needed a brother. Thus, with his point seriously taken, the name of the organization was changed to Brother's Brother Foundation. Through the efforts of Dr. Hingson and his dedicated volunteers, BBF has become a global tool for peace, hope, and love. By 1981, he retired from the foundation and Luke Hingson, his son, succeeded him. Today, the vision of Dr. Hingson still remains as an eternal quest for the organization.